Magus Tor is a dreamer who writes all sorts of genre depending on his mood. He currently stays in Singapore with his parents and continues to work on his books. His personal favorite series is the Riftwar Saga by Raymond E Feist and hope to write a fantasy series in the near future. 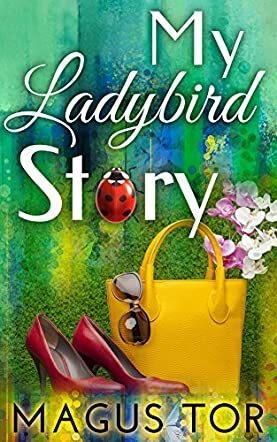 My Ladybird Story by Magus Tor is the story of John, who always knew he was different, but could not put his finger on what it was that made him different for a long time. During his time at school, he was always the one who got bullied and pushed around, until a transfer student with the name of Aureus (a girl) arrived and became his best friend. She also knew he was different, but decided to stick to his side. After years, John realizes what his problem is and why he hates his body so much, and why he enjoyed touching girls' clothing: he realized he was a girl trapped in a man's body. But how will he deal with it? Will Aureus still be his best friend after the fact is revealed to her in a rather traumatic way? And what will John's family say? My Ladybird Story by Magus Tor was a fascinating read for me. While I cannot speak from experience, the story of how John slowly makes the transition from hating his body, to understanding the source of the hate, and then moving towards the solution (i.e. the transformation into a woman) was very realistic and very emotional, too. The writing was well done, and you could not help but feel for John. His fears and emotions were very well described, and I liked that the reactions of the people around him also seemed to be very realistic, i.e. not just "Oh yeah, it's all fine." I enjoyed reading this book very much. It had a nice flow, and shows that you don't need action and violence to make a story stand out.